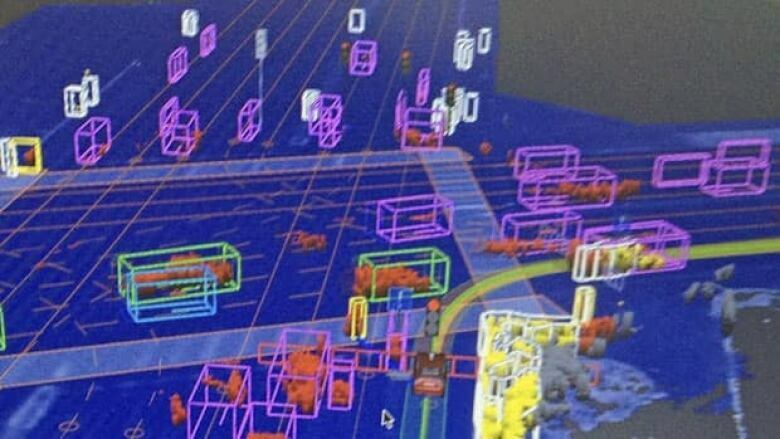 Department of Motor Vehicles officials in Nevada have issued Google the U.S.'s first licence to test self-driving cars on public streets, after conducting demonstrations on the Las Vegas Strip and in Carson City that show the car is as safe — or perhaps safer — than a human. Department of Motor Vehicles officials in Nevada said Monday they've issued Google the first U.S. licence to test self-driving cars on public streets, after conducting demonstrations on the Las Vegas Strip and in Carson City that show the car is as safe — or perhaps safer — than a human. "It gets honked at more often because it's being safe," said Nevada DMV Ddrector Bruce Breslow. Self-driving vehicle technology works like auto-pilot to guide a car — in this case a modified Prius — with little or no intervention from a human operator. Laser radar mounted on the roof and in the grille detects pedestrians, cyclists and other vehicles, creating a virtual buffer zone around the obstacles that the car then avoids. Nevada's regulations require two people in the test cars at all times. One person is behind the wheel, while the other person monitors a computer screen that shows the car's planned route and keeps tabs on roadway hazards and traffic lights. If there's a glitch, the human driver can override the autonomous auto with a tap on the brake or a hand on the steering wheel. Last summer, Nevada Gov. 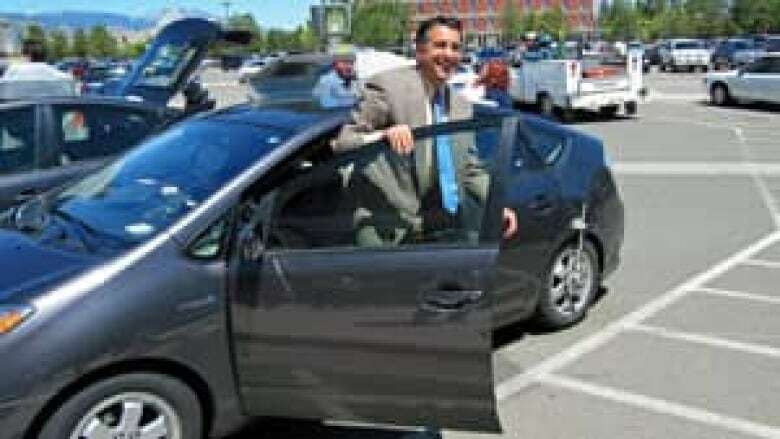 Brian Sandoval took the car for a spin in and around the state's quiet capital city. But Las Vegas Boulevard, where costumed superheroes routinely take the crosswalks and massive billboards angle for the attention of starry-eyed tourists, was perhaps best suited to test the car's main purpose. "They're designed to avoid distracted driving," Breslow said. "When you're on the Strip and there's a huge truck with a three scantily clad women on the side, the car only sees a box." So far, Google's applied to license three test vehicles. Breslow said the cars will display red plates and an infinity symbol to represent their status as vehicles of the future. Once they're ready for the market — something Breslow guesses could come in three to five years — the plates will be green.